One of my FAVORITE online stores is having a 25% off sale for 3 days only! Use the code ‘INTHEFAM’ to save big! I picked up this striped midi dress before my trip to California in December. I figured it was the perfect dress for travel because of the midi length and the stretchy material was a huge comfort factor. It’s currently on super sale and I have the grey option sitting in my cart. 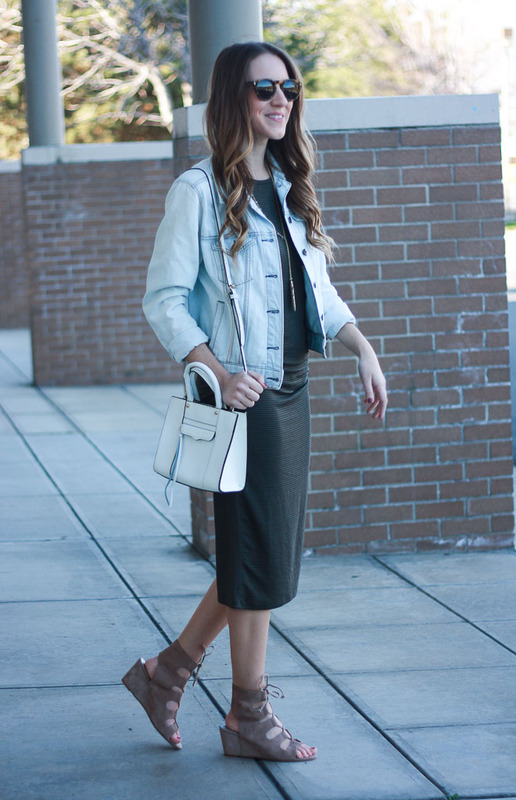 It’s such a good basic dress for the spring and summer! I even plan on wearing it to work! So far I’ve styled it with wedges and these for a more laidback look! love this! long dresses are my favorite! I so wish I could pull off this length in a dress because the stores are overflowing with cute midi dresses. But even though I cant, you can rock it girl! love those lace up sandals! such a cute look, doll! This dress does look super comfortable! It's such a clean, well put together look, I love it! Great look, I love those wedges! That dress is so chic! Love how its a midi! I love the length of your dress and your shoes are gorgeous! Love this outfit. I need that purse. 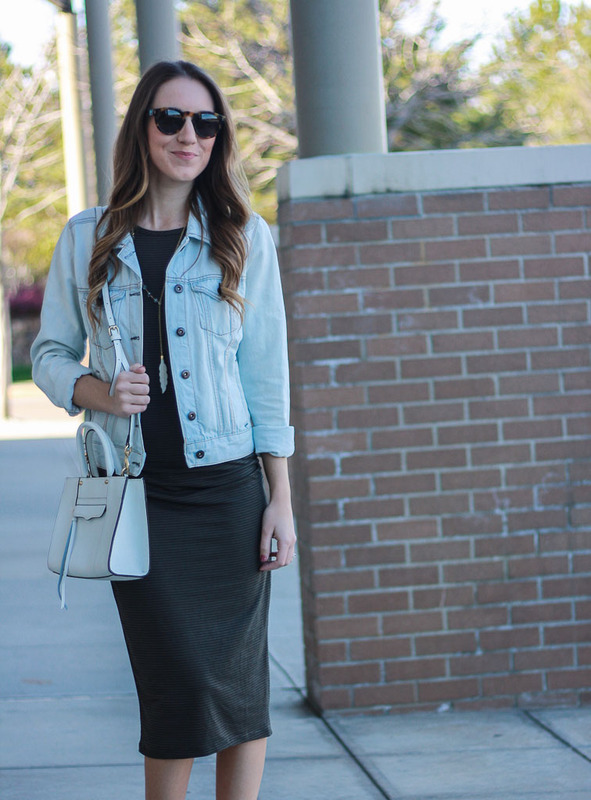 A denim jacket is always that item that works with so much. Love the outfit! Gosh, those sandals are everything! I know I said that the other day, but I really am obsessed with them!